We want YOU guys to choose our next #twstaste wines for the May tasting by telling us what your favourite Society or Exhibition-label wine is. What’s the own-label wine that you think every member should try?! Start nominating your favourites (we’re also taking nominations via social media using the hashtag #favesocietywine) and we’ll pick two of the most recommended wines for our next virtual tasting towards the middle/end of May (date TBC). 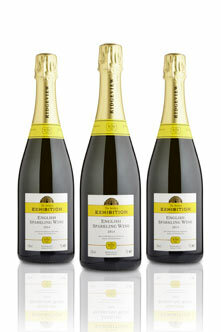 We’ll decide on the winners before the end of April to give you plenty of time to grab the bottles before the tasting. Can’t wait to see your nominations.! Although don’t all rush out and buy it as I haven’t got round to putting a case aside just yet!! Gorgeous and perfumed, and excellent vfm! From the legendary Austrian winemaker Willi Br?ndlmayer's terraced Kamptal vineyards, this has a ripe a opulent core of stone and citrus fruit, with mouthwatering spice and a twist of pepper on the finish. 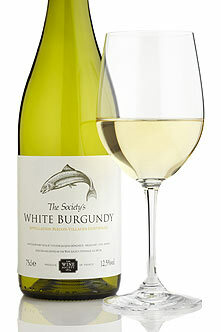 Despite the hot vintage, this is still a deliciously crisp and fresh white wine. 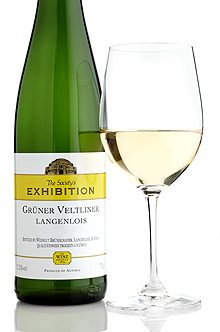 Everything a Gruner should be! 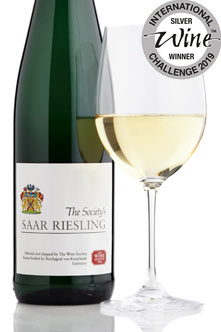 A fresh appetising riesling from Germany's outstanding 2015 vintage. This comes predominantly from von Kesselstatt's holdings in the villages of Nierdermennig, Oberemmel and Wiltingen. 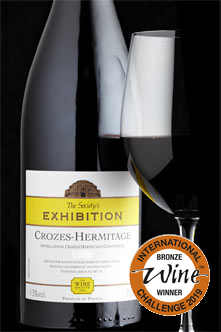 The result is a ripe-tasting and long-flavoured wine which we're proud to put our name to. This has been consistently lovely for a few vintages. Enjoyed the 2015 of this so sure its great too! I did think the Limari Chard was a big hitter for the money. Can’t think of any others among the dozen or so I must have tried. And I would be grateful for any reccos for wines anyone thinks might change my mind! This is very good, though probably not the best for this tasting. I should add that I had the 2017, though - but suspect the 2018 is a good 'un too. Have to say I don’t buy them. 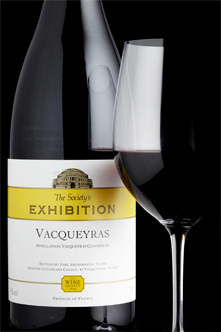 This is because when I have done (the Exhibition wines), I’ve felt they are indeed perfectly decent examples of what they are, but they have always failed to excite me in the way that I hoped. Same for me I’m afraid. The one’s I’ve tried have all been good, but not mind blowing. The last one I tried was the Mendoza Malbec which was fine. To be honest when flipping through the list I perhaps think of them as ‘own brand’ and not as interesting then choose something of a similar or slightly higher price that is a winemaker bottling / labelling, which is unfair of me as I know full well that the exhibition wines are from some very respected producers. Yeah. I guess they’ve suffered by comparison - the Victoria Shiraz, for example, wasn’t a patch on the Mt Langi Ghiran house wine, but then it was a whole lot cheaper! 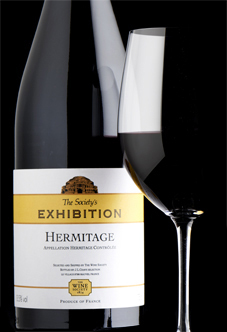 Have to say though there’s no way I’d risk a Hermitage! 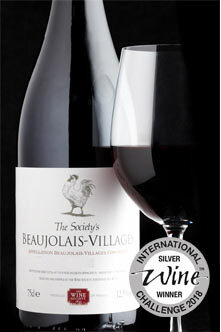 Our Beaujolais-Villages offers a classic taste of this much-loved region. This has the vibrant black-fruit perfume of youth, with the balance of ripeness and freshness typical of good Beaujolais. Somewhere between the rich and powerful 2015 and the juicy fresh 2016 in style, and utterly delicious. 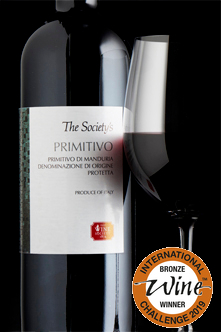 The first wine I got from the society, and it’s been a firm favourite ever since! 2016 was a coolish vintage and this has a little extra freshness and lift, along with ripe flavours of plum and spice. Matured for around 14 months in barriques. Just because I haven’t tried them and I would like an opportunity to do so with my favourite tasting team! 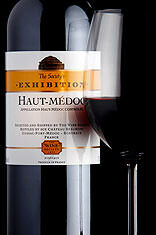 I’m looking forward to tasting the Haut-Medoc (my first delivery is tomorrow). I’m out in the sticks and Tesco (a 12 mile round trip) is not my friend for casual everyday wine buying (French reds). Barring any disasters TWS should have a happy and regular customer. 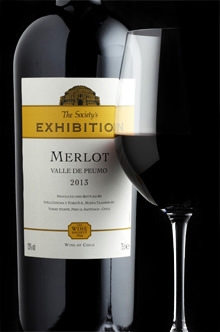 I have to say I don’t find the Society and Exhibition wines to be staid, rather the epitome of their type. They are the gems of the list, hidden in plain sight. +1 for the Vacqueyras. The clear winner at our recent tasting of Rhône wines. 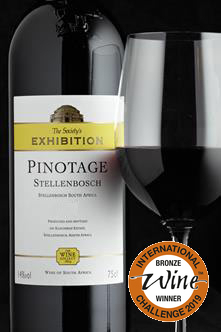 The latest vintage of this impressive South African pinotage from masters of the grape, Kanonkop, is rich and delicious. 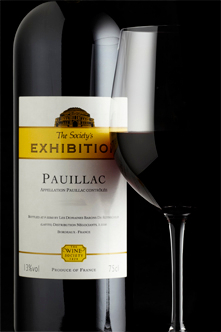 Spiced plum and red fruits are couched in a full body with velvety tannins and smooth smoky flavour.